Fly on a Wall features dancers who performed with Atlanta Ballet and glo. An old, boarded-up house recently became the unlikely point of inspiration for Atlanta’s artist collective, Fly on a Wall. Dust House is a new piece created in an abandoned home in Atlanta’s historic West End neighborhood. 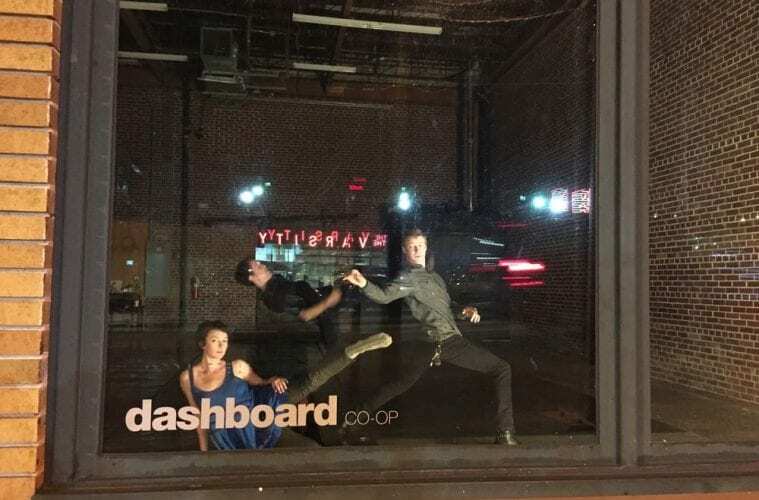 The finished work, opening May 15, includes a video installation which will be exhibited at Dashboard Co-op’s gallery at 31 North Avenue through June 12, as well as a live performance around the corner at Dashboard’s performance space at 621 Spring Street from May 15-18. 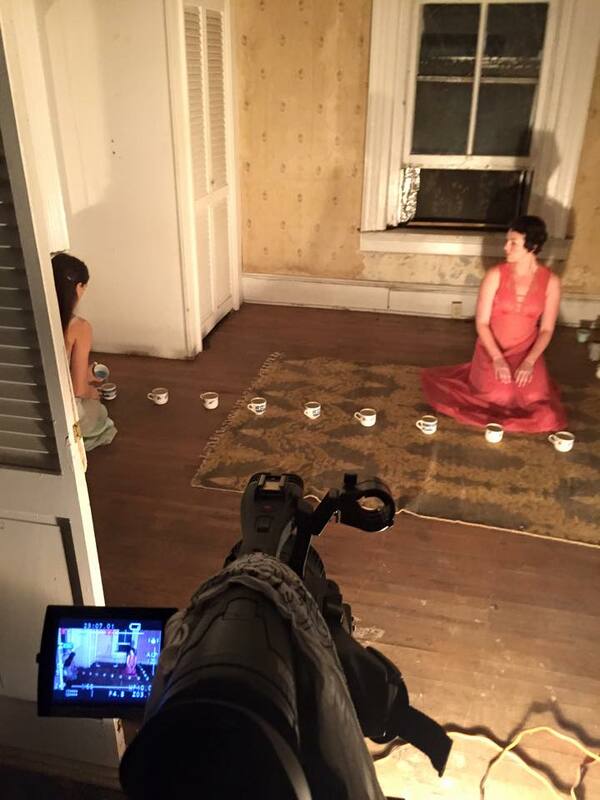 Johnson originally thought a photo shoot inside one of the abandoned historic houses would be a great way to create some evocative images for the new company, but the idea started to develop when she took it to the other members — Nathan Griswold, Kelly Tipton and Sean Hilton — and they decided to make a dance film. 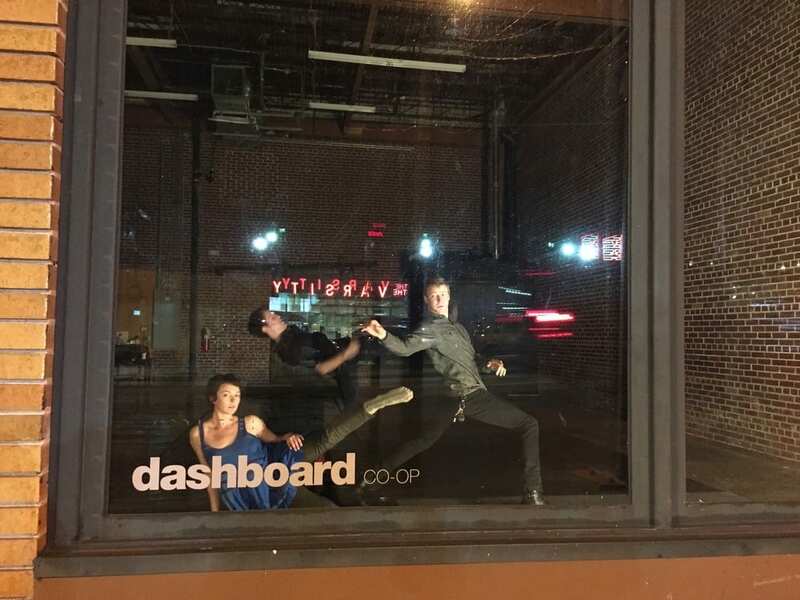 With the support of Dashboard Co-op, they invited Atlanta filmmakers Felipe Barral (who produces original videos for ArtsATL), Kris Valeriano and Alex Zhuravlov, as well as Stephanie Swart, an animation artist from New York City, to work with them on the project. “We wanted to see what it would be like to give four different artists complete freedom to see their story inside the house,” says Hilton. The group specifically wanted a large house with a lot of space for dance, one with a storied past and one with multiple rooms, each with its own evocations, to film different scenes. The first time they visited the house owned by a friend of a friend in Atlanta’s West End, it was in such poor shape they rejected the idea of filming there. But they eventually reconciled themselves to it, spending an entire week cleaning up before filming or dancing even began. The group created abstract vignettes, each suggestive of the various layers and lives led in the old house, and then gave each filmmaker the freedom to film whichever one they wanted, in whatever style they chose. The four films will become part of an installation at Dashboard’s gallery space, and various stills will be projected in the nearby performance space. Fly on a Wall was founded by its four members last year as a collective to create new dance works like Dust House and especially as a way to collaborate with artists from other mediums. Johnson, Tipton and Griswold all met when they danced together at Atlanta Ballet, and Johnson and Hilton danced together with choreographer Lauri Stallings’ glo. Tipton and Griswold both recently returned to Atlanta after a time dancing in Europe with Ballet Augsburg. Johnson and Hilton both left gloATL, each wanting to start to create their own work. “When you start to hear that call, it’s time to move in that direction,” says Hilton. They chose the name “Fly on a Wall” because it suggested an abiding interest of the group: the ability to view things from a number of perspectives. The artists say that ideas bounce around freely, and each member takes on a number of roles with each work, often acting simultaneously in multiple roles: dancer, director, builder, choreographer, manager.